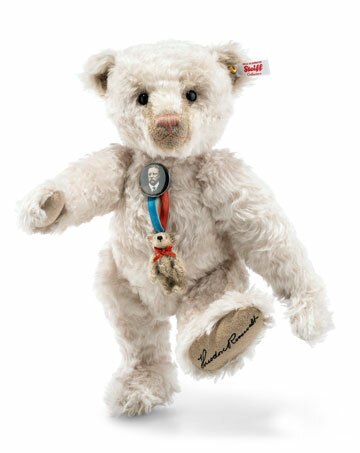 A Steiff USA Toy Shoppe Exclusive. 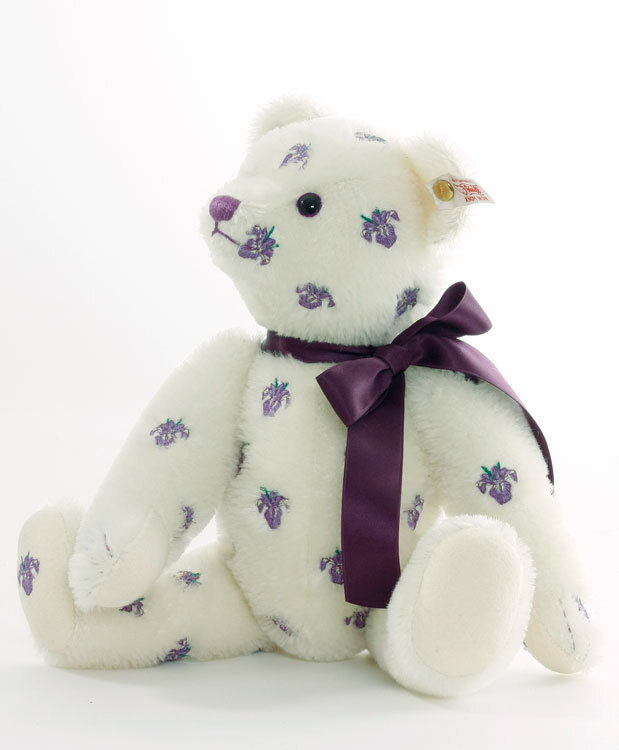 The Toy Shoppe is pleased to be the exclusive US shoppe to present this beautiful bear.The delicate beauty of the iris has been perfectly captured by Steiff in our new exclusive Steiff Teddy. From her delicately embroidered, pure white mohair to the tip of her carefully hand-stitched nose... not a detail has been overlooked! 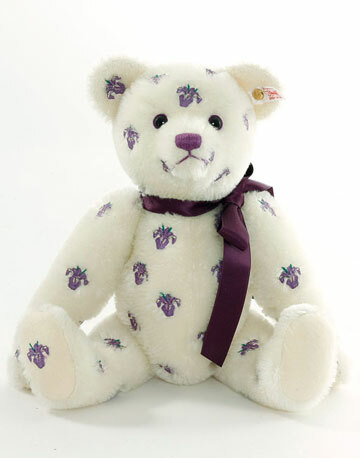 Iris is five-way jointed with a lovely deep growl. 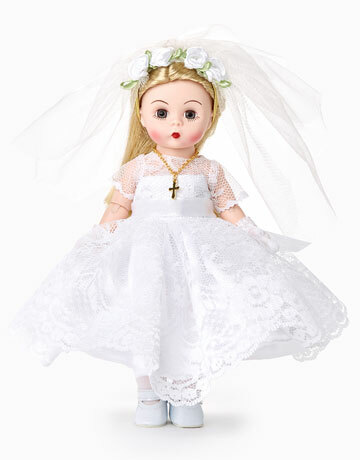 She is the perfect size for holding or admiring from afar, measuring 13.5 inches tall. 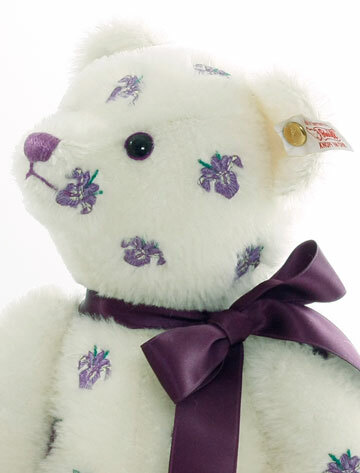 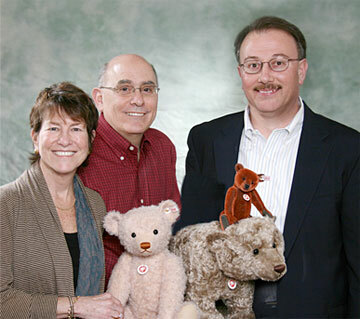 Iris is an absolute must have for Steiff collectors.